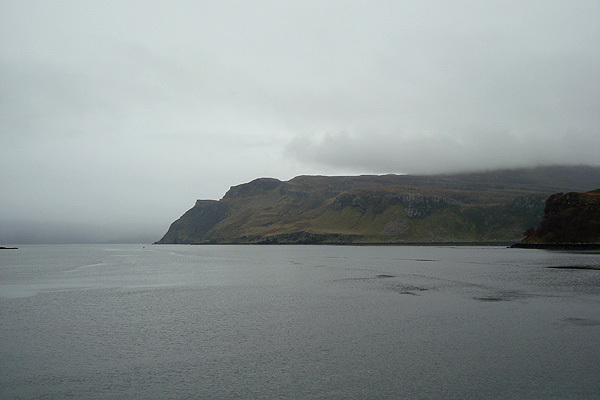 Isle of Skye – lindsey travels. If there is a heaven on earth, I think I found it. So, Saturday. My window showed a very distant Loch (Ness? Maybe) where small clouds rose up off the surface to hover in the air. Really ethereal looking. £2 breakfast included crispies and bread. 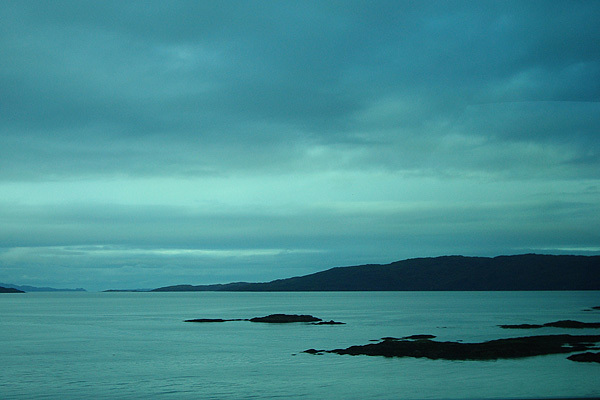 Then on the bus amid the pouring rain to the Isle of Skye. The river shaped like Scotland. 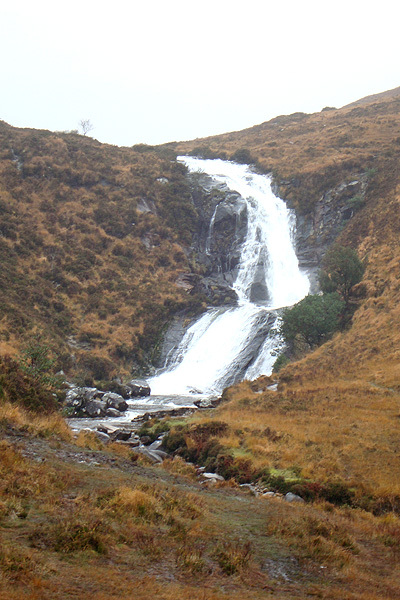 We headed west from Loch Ness through the mountainous regions of the Highlands and truthfully, I could not take a single picture to do justice to the steep snow-capped mountains, the tiny trails of cascading rocks and waterfalls, the dips and grooves and browns and greens. 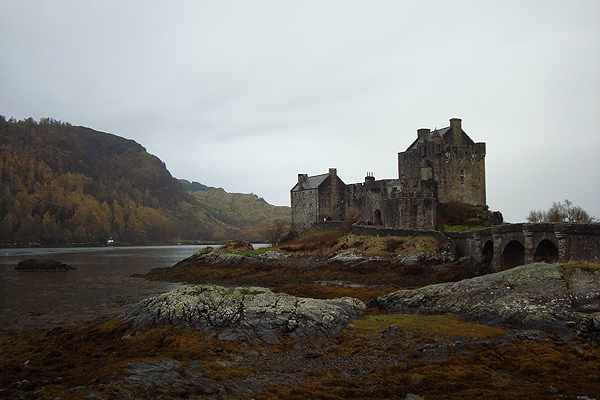 The road we drove on seemed too small for our vehicle, and almost when I thought we might get swallowed, the lands opened up to reveal a vast loch stretching into the distance, with Eilean Donan castle perched near the shore. 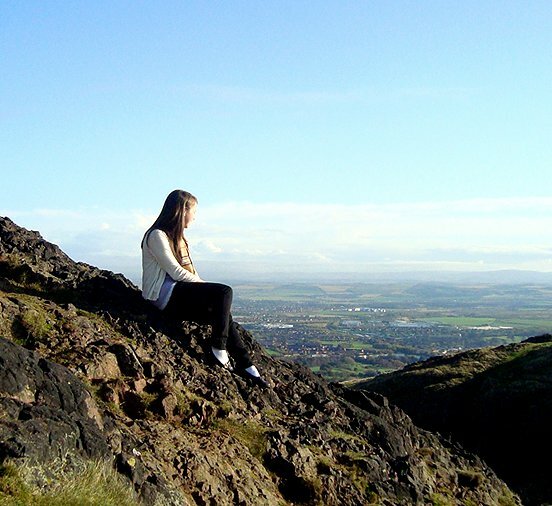 We stopped and saw, then drove a little way out to see again from the iconic viewpoint. If there is a heaven on earth, I think I found it. 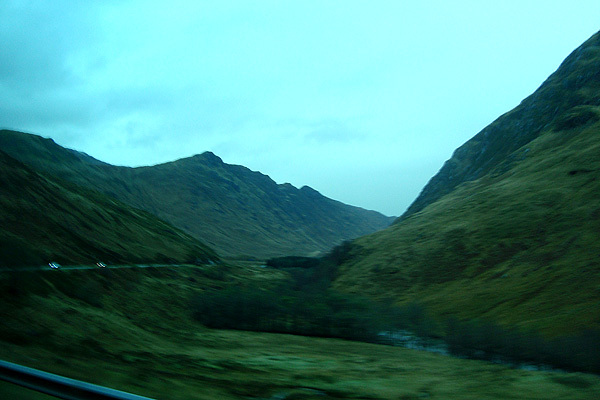 On we drove to Skye. We went across the infamous Skye Bridge (for the ridiculous cost of its concreteness, and the stories about the ridiculous £50 fee to cross unless you were carrying livestock, so hundreds of people would nick a sheep from the fields, stick it in their backseat, cross for free, tie it up in the car park during work hours, then take it back home. 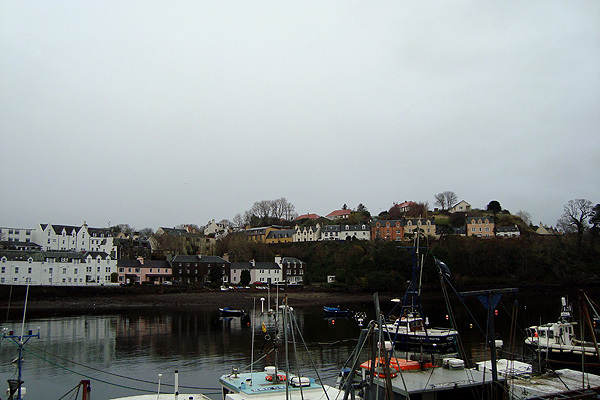 What people will do to save money), and into Portree, the capital city that really seemed 10 times smaller than Cheshire (and probably was). There were many cute little trinket shops and bakeries. We stopped at MacKenzie’s for some cheap, delicious curry pies. 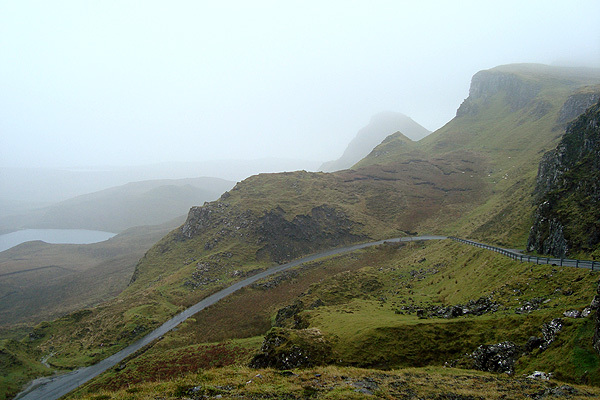 The drive through Skye itself was not as impressive as it probably could have been in better weather. 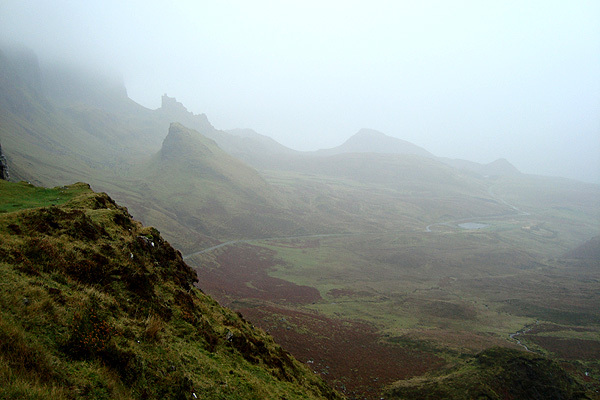 The thick fog had settled over the mountains and we could all but make out the lands ridden in folklore—the fairy mounds and giant’s hills. We got out for a quick look at one of the many waterfalls. 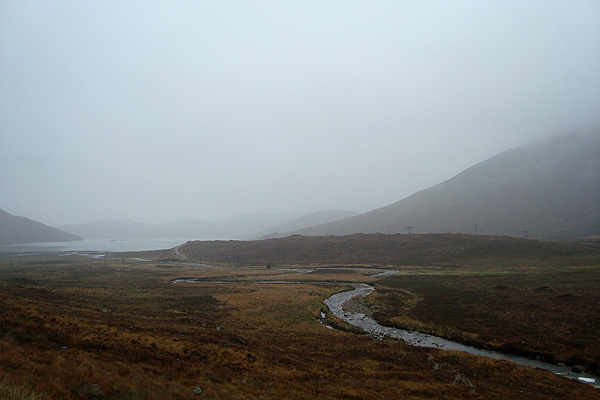 But by then the rain was coming down harder so we hopped back into the bus and headed for Cuith-Raing. It was supposed to look like a cookie-cut copy out of Lord of the Rings, but the fog decided to show me otherwise. Down the tiny dirt road and on through the misty mountains (HA. 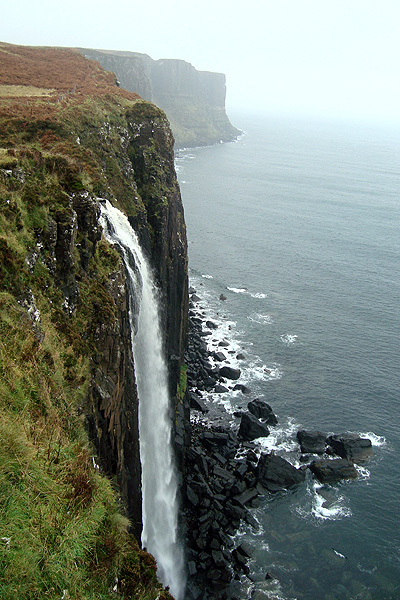 I humour myself) to Kilt Rock. 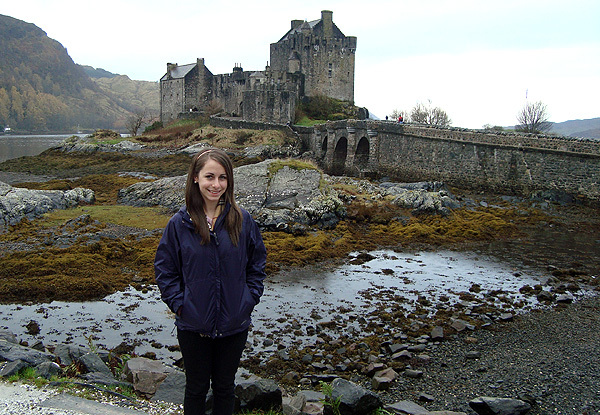 Where I videoed our tour guide Alan telling the incredible ABSOLUTE TRUE story of Kilt Rock. 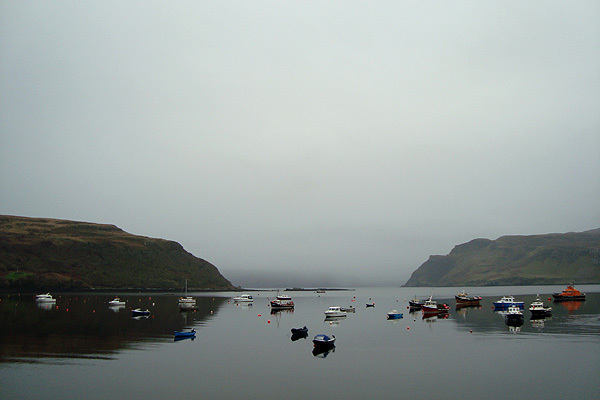 A complimentary scene from the Isle of Skye. Isn’t his accent incredible? Oh, I haven’t said this yet I don’t think, but Alan was THE MAN. Hilarious, cool, knowledgable, friendly. A wonderful, wonderful man. Telling the craziest jokes (Star Wars Christmas) and just having the best Scottish accent ever. The way he said lochhh. Anyways, the rain was too much for any sort of hike so we rolled back to Portree for some refreshmants before heading back to the hostel. Dinner at £6 was a pizza and pasta extravaganza, and later I bought a Highland-brewed beer and Strawberry cider to amuse myself. 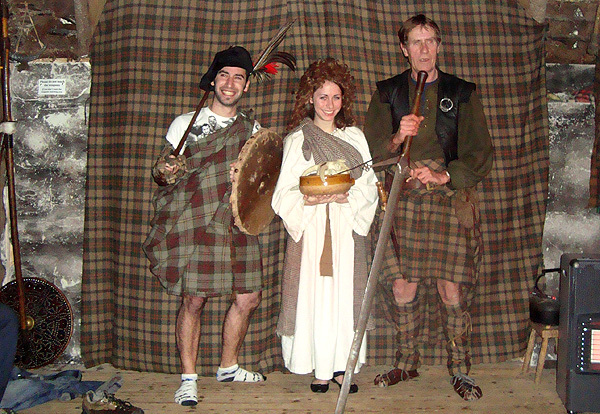 Down in the heart of Fort Augustus is this place called The Clansman Centre, where a man gave a presentation on traditional Highland dress, living, and weaponry. 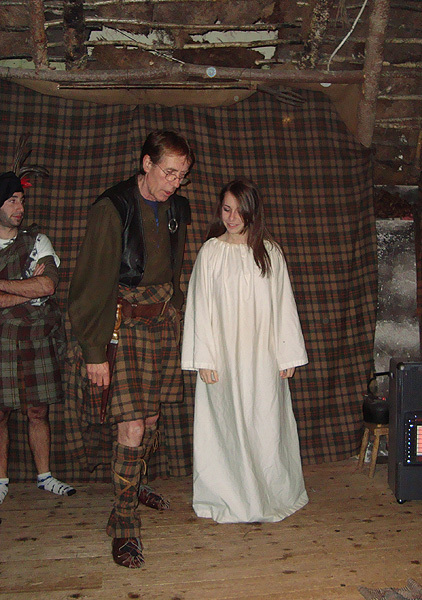 Of course, traveling alone meant no embarrassment could live past the weekend, so I volunteered to get dressed up and married in true Highland fashion. Me and the hubby. We divorced soon after–he didn’t fancy my hair. Later that night, two girls playing the violin and accordian perfomed some sweet traditional Scottish songs in the bar (yes, the hostel had a bar). After some drinking games, friends and I eventually got invited to dance so the guides and older guys looked on as we made utter fools of ourselves. 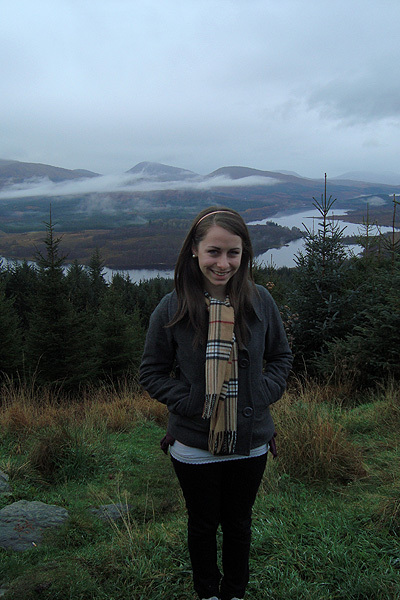 I have never booked and traveled alone before but oddly, my comfort zone could not have been bigger. Hurling yourself into a new world grants such a feeling of control, even amid the wildness of no control at all. I had a fabulous time surrounded by kids (most were Aussies and New Zealanders) doing the same thing.